Head East from Carthage on Mississippi 16 toward Philadelphia, and after a few miles a sign says you're in Edinburg Mississippi. It's a good thing the sign's there, because there is no other way to tell. On June 15, 1919, Van T. Barfoot was born in Edinburg. Probably didn't make much news. 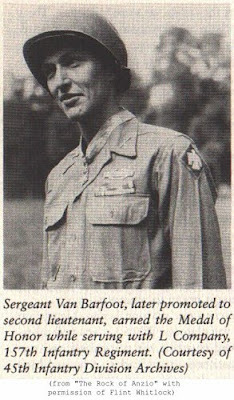 Twenty-five years later, on May 23, 1944, near Carano, Italy, Van T. Barfoot, who had enlisted in the Army in 1940, set out to flank German machine gun positions from which fire was coming down on his fellow soldiers. 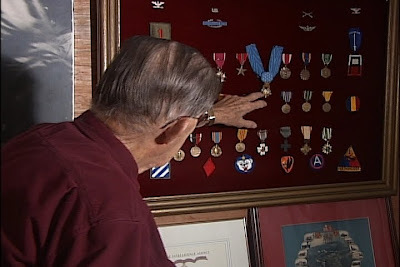 He advanced through a minefield, took out three enemy machine gun positions and returned with 17 prisoners of war. 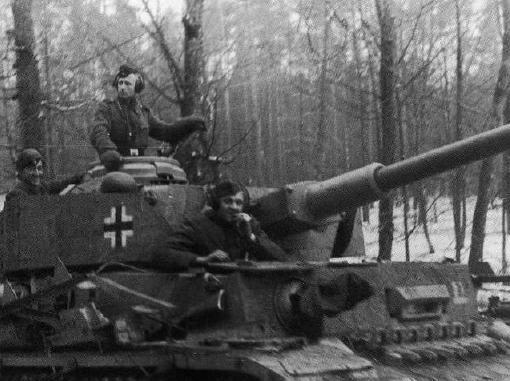 If that wasn’t enough for a days work, he later took on and destroyed three German tanks sent to retake the machine gun positions. That probably didn’t make much news either, given the scope of the war, but it did earn Van T. Barfoot, who retired as a Colonel after also serving in Korea and Vietnam, a Congressional Medal of Honor. 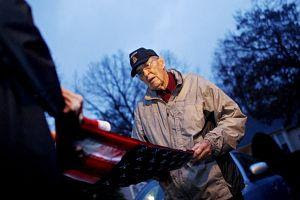 What did make news last week was a neighborhood association’s quibble with how the 90-year-old veteran chose to fly the American flag outside his suburban Virginia home. 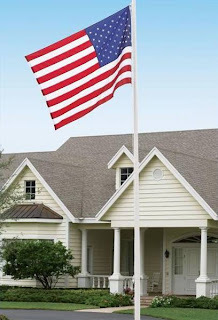 Seems the rules said a flag could be flown on a house-mounted bracket, but, for decorum, items such as Barfoots 21-foot flagpole were unsuitable. He had been denied a permit for the pole, erected it anyway and was facing court action if he didn’t take it down. Since the story made national TV, the neighborhood association has rethought its position and agreed to indulge this old hero who dwells among them. 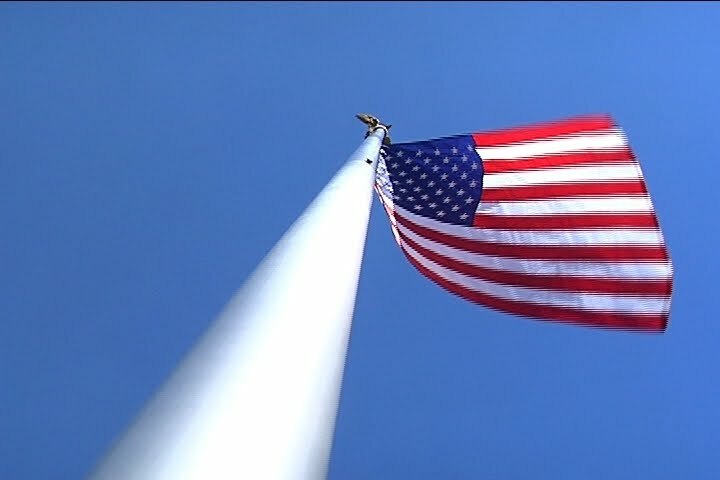 In the time I have left I plan to continue to fly the American flag without interference, Barfoot told The Associated Press. It indicates he's not real good at backing down. For conspicuous gallantry and intrepidity at the risk of life above and beyond the call of duty on 23 May 1944, near Carano, Italy. 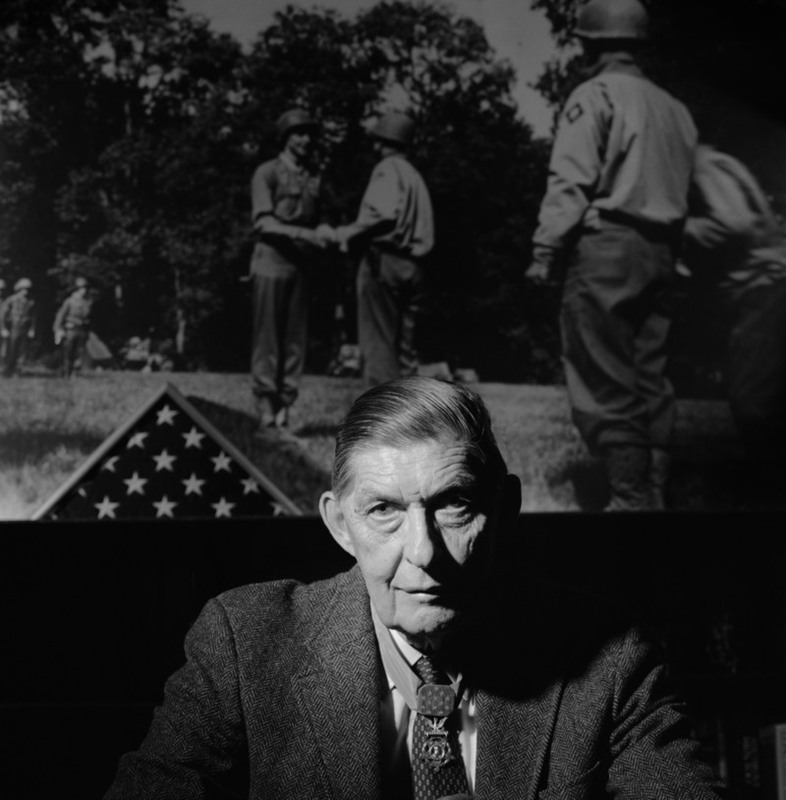 With his platoon heavily engaged during an assault against forces well entrenched on commanding ground, 2d Lt. Barfoot moved off alone upon the enemy left flank. He crawled to the proximity of 1 machinegun nest and made a direct hit on it with a hand grenade, killing 2 and wounding 3 Germans. He continued along the German defense line to another machinegun emplacement, and with his tommygun killed 2 and captured 3 soldiers. Members of another enemy machinegun crew then abandoned their position and gave themselves up to Sgt. Barfoot. Leaving the prisoners for his support squad to pick up, he proceeded to mop up positions in the immediate area, capturing more prisoners and bringing his total count to 17. Later that day, after he had reorganized his men and consolidated the newly captured ground, the enemy launched a fierce armored counterattack directly at his platoon positions. Securing a bazooka, Sgt. Barfoot took up an exposed position directly in front of 3 advancing Mark VI tanks. From a distance of 75 yards his first shot destroyed the track of the leading tank, effectively disabling it, while the other 2 changed direction toward the flank. 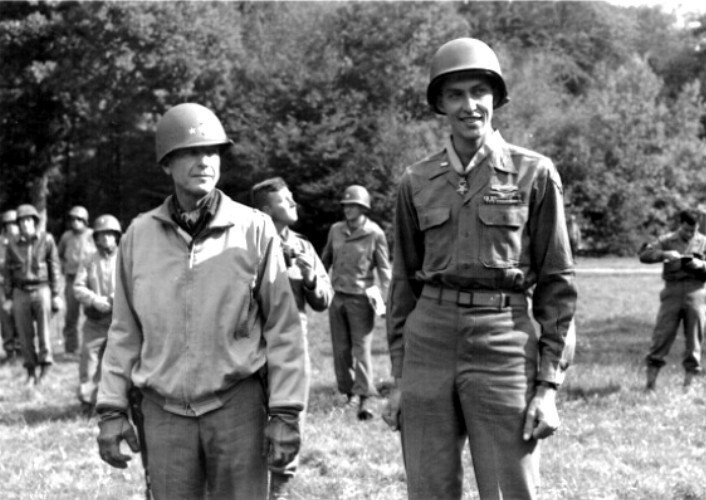 As the crew of the disabled tank dismounted, Sgt. Barfoot killed 3 of them with his tommygun. He continued onward into enemy terrain and destroyed a recently abandoned German fieldpiece with a demolition charge placed in the breech. While returning to his platoon position, Sgt. Barfoot, though greatly fatigued by his Herculean efforts, assisted 2 of his seriously wounded men 1,700 yards to a position of safety. Sgt. 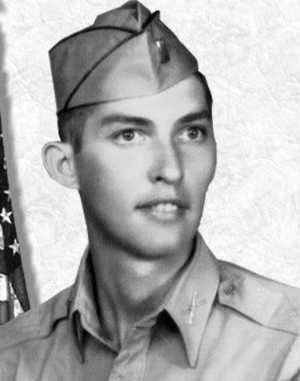 Barfoot’s extraordinary heroism, demonstration of magnificent valor, and aggressive determination in the face of point blank fire are a perpetual inspiration to his fellow soldiers. Thank you for your continued love of country. Thats why I own a home free from home owners associations. Aside from meddling in trivial stuff such as what kind of flowers you are allowed to grow, they tend to overcharge and underdeliver on the upkeep of the property. People I know who had condos with associations hated them. Couldn't get a water sprinkler fixed even though they were paying 200.00 per month for the outside maintenence. But they sure got immediate grief over any transgression like leaving a patio light on all night. Screw those associations. Seems like some little tyrant always gets to be in charge too who loves to bully the neighbors. After a few miles the sign, Edinburg, you’ll see what I mean. Received our nations, “Medal of Honor” from his Uncle Sam. 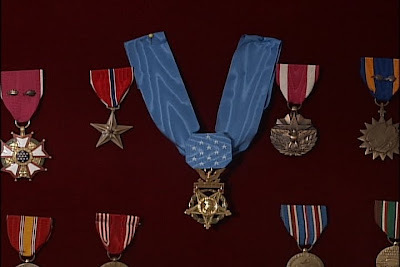 Medal of Honor, served in 3 wars, big deal, who gives a damn? 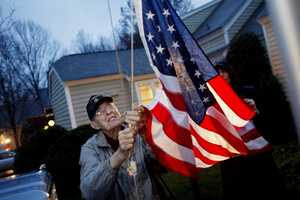 And would not leave this 90 year-old decorated veteran alone. Courageously set out to destroy enemy fire, he circled around. The area he earlier secured, can you say, big, big, big mistake? Why not? Seeing that he was here before settlers thru his tribe. Wait a minute are we talking about the Private to Colonel dude? He helped save this country and his neighbors have an attitude? And what is the biggest thing terribly wrong with this picture? No news coverage & they might gotten away with this wrong.